Banks thrive off of people with bad credit. You may be asking yourself why a bank would want to thrive off of a person who has less than perfect credit. There is one major reason and that reason is because they can make more money from you. Traditionally, if you have bad credit and are taking out a home loan, you are going to pay for it big time. However, there are some solutions to bad credit home loans that the banks just do not want you to discover. It might take a little while long to save, but the less money you have to borrow, then the better off you will be in the long run. If you can save, save, save and then put that large down payment down on your house you have already beaten the bad credit loan solution. Overtime, you will be able to refinance and even lower your high interest mortgage the bank is charging you. The government has made it easier for people who have bad credit to take out house loans. Of course, taking out a loan through the federal government is no walk in the part, but it is better than paying an arm and a leg for a high interest rate mortgage. 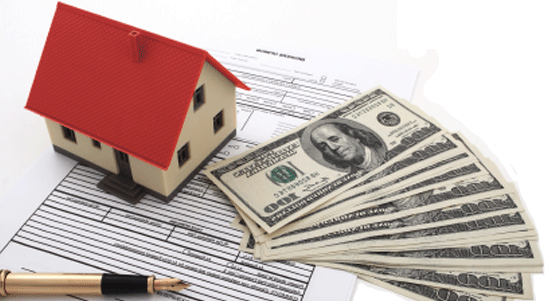 These housing loans with the government are known as FHA loans. Some of these loans require a high credit score and some do not. Several banks in your area offer these loans; you just have to ask which loans are available to you. There is quite a list of qualifications you must meet, but it is totally worth it to purchase a home that has a lower interest rate. Many people get FDA and USDA loans mixed up, but there is quite the difference. USDA loans are unique in the fact that they are loans meant for houses built or bought in rural areas. There is a tight criterion that you must meet in order to qualify, but it is totally worth checking into. The one bad thing about a USDA loan is that you can’t make above a certain income level. This varies by state and sometimes by location. Just keep in mind that USDA loans are specifically special because you don’t necessarily need a perfect credit score and in most cases no money down. Banks want you to pay their high interest rates. However, there is a solution for those who have bad credit and want to own a home. Leasing a home is the perfect solution for someone who wants to buy, but may not be able to fork over the money or the credit score necessary to secure a home. Leasing a home is a little difficult because you have to find a home owner willing to lease the home. A little searching can help you land the right home to lease and eventually by. Owning a home might seem like a far reach for those who want it now. But with a little planning and an unorthodox way of buying, you too can own a home. Sometimes bad credit isn’t your fault, so why should you have to suffer? Consider using these 4 bad credit home loan solutions that the banks never want you to discover! I need 5000 to catch up on bills because I am behind on everything . I lost my job a month ago & my girlfriend cannot work because she is disabled . I will pay anything . My husband and I made an offer on a house back in May. We were easily approved for an FHA mortgage, but my husband is Cherokee and just didn’t quite qualify for a 184 loan. Our seller said it was fine to rent for the summer and we’d close in September. When our lender pulled our credit to prepare to close, we discovered that my husband’s ex hadn’t paid a credit card that has his nameon it. She’s court-ordered to pay it in their divorce decree. Now, we can’t even qualify for a normal FHA mortgage. His parents have told us they’ll give us 25% for a down payment, but we can’t find a lender who will lend on his scores (513, 528, and 539). Nor can we find a co-signer to sign with me and I don’t make enough money to qualify for this house on my own. Can you find us a lender? We don’t care about the 184 anymore. FHA, personal loan, anything. PS The purchase price is $160,000 and we’ll have a $40,000 down payment.